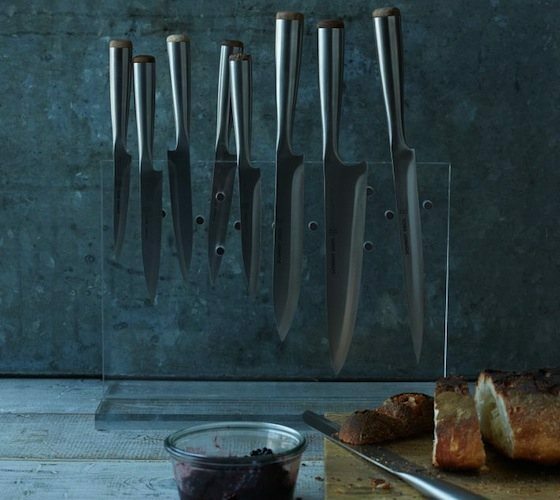 Each knife nests within the set. 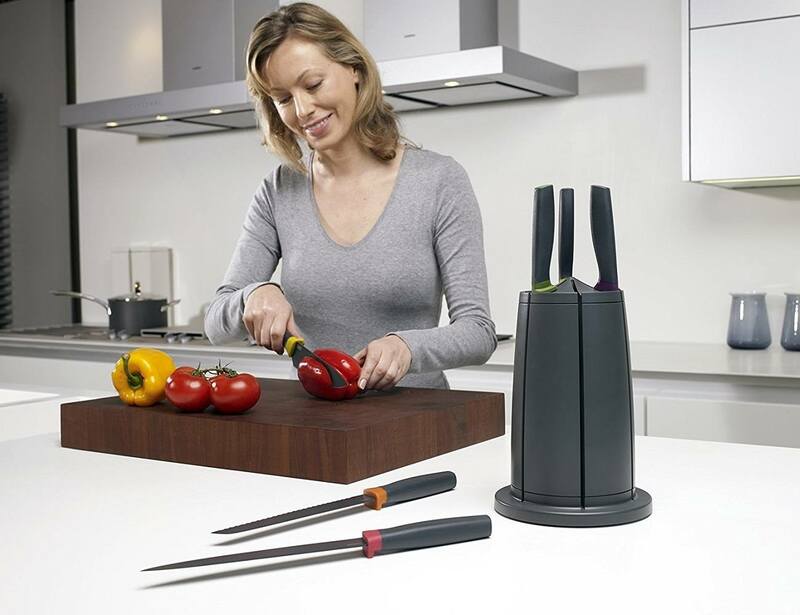 To remove each knife, simply press down near the tip of the blade and life knife away by the handle. 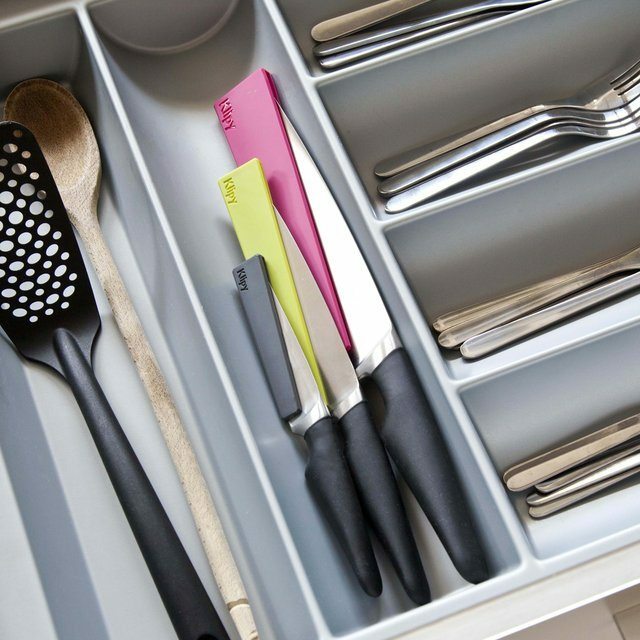 Innovative design ensures knife can be stored in any slot, regardless of blade length. 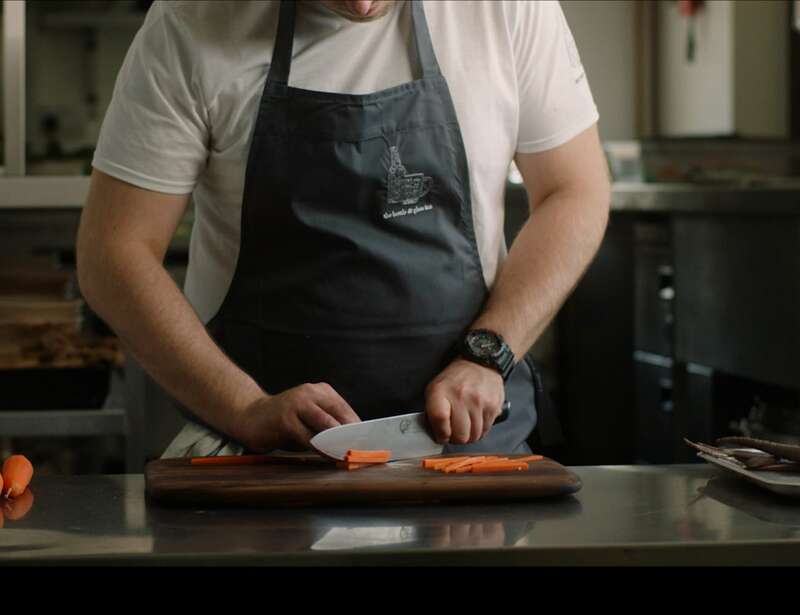 Picking up a knife in haste without looking properly can result in serious injury. 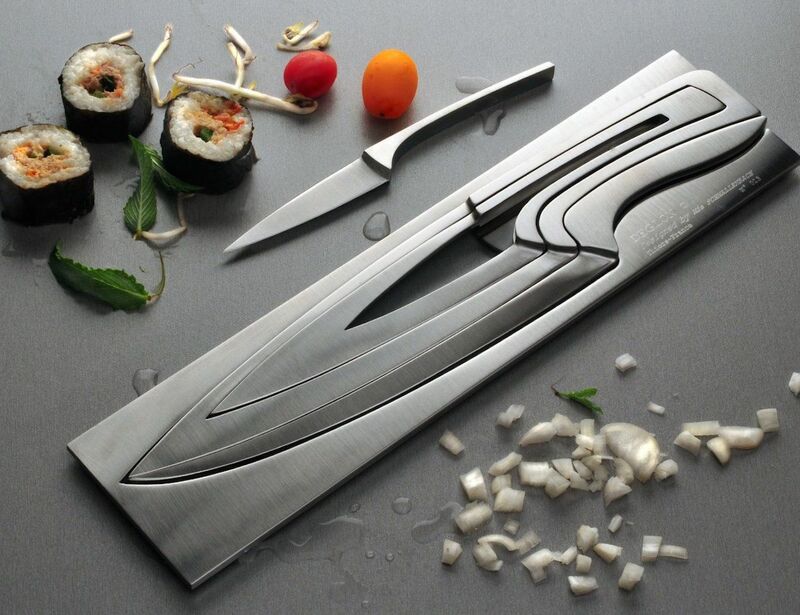 The steel also goes the entire length of the knife for an ideal balance. In addition, the Ergo-Grip handle is custom designed to take on a western ergonomic design. 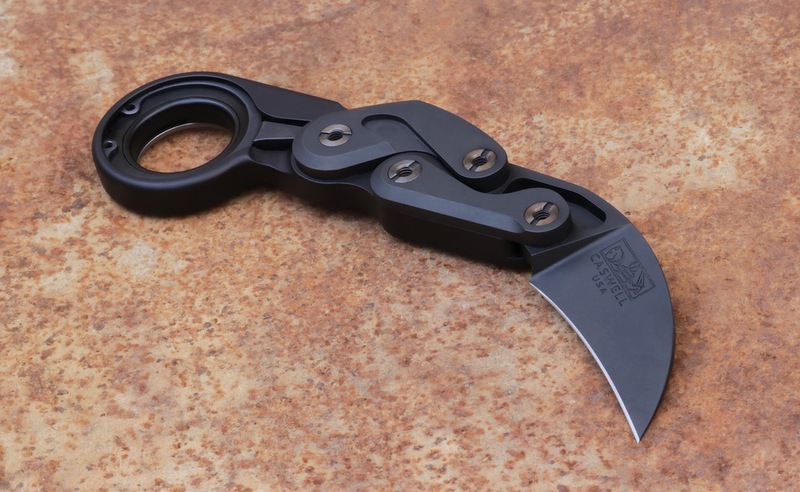 Additionally, the Zero-Profile titanium pocket clip allows you to carry the knife deep in your pocket. However, you can still access it quickly whenever you need to.